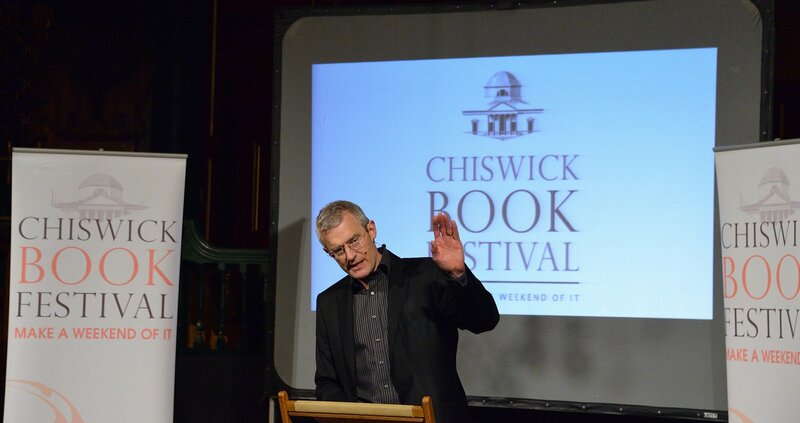 Thanks to everyone who helped make The Chiswick Book Festival such a success, whether as authors, audience members, volunteers or sponsors. You can see dozens of photos on the Festival website and in its Flickr albums – plus pictures and comments (and add your own) here on Twitter. All profits will be donated to the Festival’s three reading charities and to St Michael & All Angels Church, which hosts and runs the Festival. If you missed the chance to buy a copy of the Playful Book Quiz at the Festival, you can still get one for £2 at Fosters Books, 153 Chiswick High Road, which has kindly donated the first prize of a Folio Society Jane Austen collection. But please be quick: entries close on Sunday 24th. The Festival also saw the Prizegiving for the final round of our Tallest Sunflower Competition, run as part of the Golden Jubilee Bedford Park Festival. Four-year-old Mara Buzuleaz was the winner. Ten-year-old Onno van Kampen-Brooks was runner-up. Both won children’s books kindly donated by RBG Kew. See pictures here.